DRINK NEW WINE! MEET NEW FRIENDS! HAVE FUN! 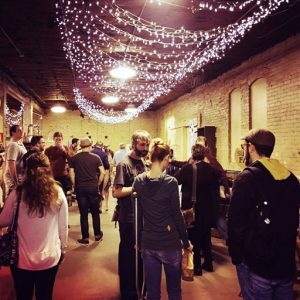 Downtown Joplin Alliance hosts a unique networking opportunity each month with First Friday Wine Share. 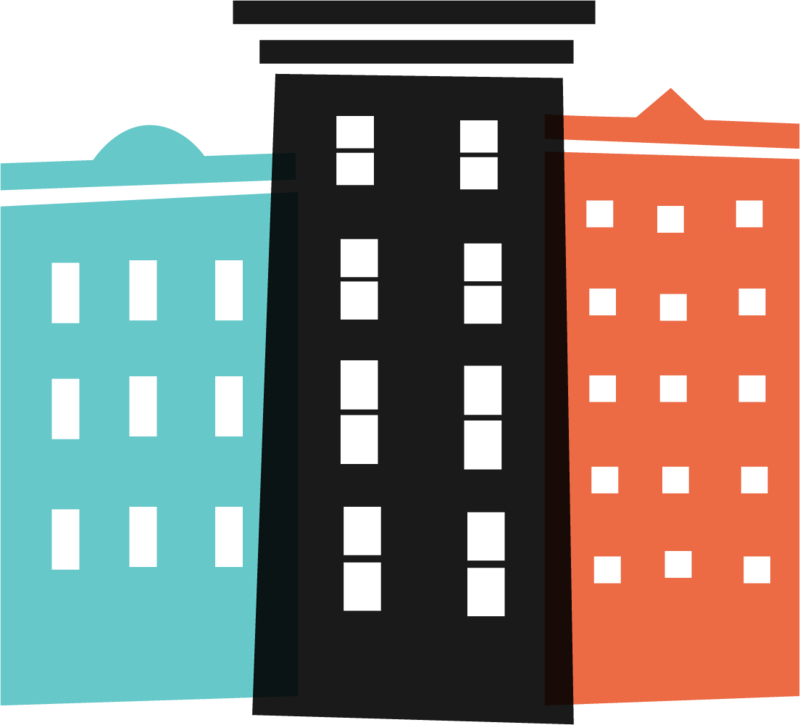 It is held in rotating locations and sponsored by various local businesses. It’s free to attend, and anyone over 21 is welcome! 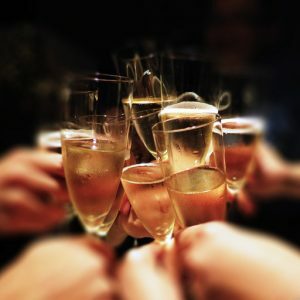 WHY GO TO FIRST FRIDAY WINE SHARE? To discover new or different wines and beers. To meet new or different people. To explore new or different places of business or art. 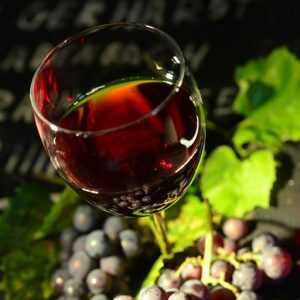 HOW IS A WINE SHARE STRUCTURED? The event is from 6:00 pm to 8:00 pm. Check our facebook page for each month’s location. Bring your own wine glass — yours might be the start of a wonderful conversation! WineShare is a laid-back networking event, bring a bottle of wine, your business cards, and expect to have a great time. Hosts are also encouraged to provide finger food. This can be as simple as a cheese plate with crackers or as fancy as catering. You are welcome to have special sales, promotions, giveaways, etc for WineShare attendees. Hosts should plan to be at the event at least 30 minutes before and after. Our attendees bring a bottle of wine. Our First Friday WineShare coordinator(s) for the month will check guests in, open the bottles up, and everyone pours themselves glasses of anything and everything, hence the “share” in Wine Share. As long as there is a cleared space for the wine your job as host is pretty much complete. The coordinator will quiet everyone around 7pm and introduce you as the host, giving you a chance to talk about your business and anything upcoming you want us to know about. We are a laid back group of all ages and backgrounds who appreciate finding new local places to patronize while enjoying new people and new wines. The event typically runs from 6:00pm – 8:00pm. We will provide ice, ice buckets, a-frame signage, blank name tags, cups, and a door greeter. We will get there about half an hour early to get everything set up and will stay to assist with cleanup. We can provide a 6′ table as well as napkins, plates, etc. if you have the need. We average anywhere from 75-150 attendees, depending on the location. They each bring wine or craft beer to share. You are welcome to have finger foods, but are not required. Feel free to do any give-aways, sales, promotions, etc. that you would like. We will promote the event on social media and online prior to the event, as well as any TV and radio opportunities. Your logo will also be on a-frame signage at the door of the event and at the sign in table.